Fumapem F-950 membrane is a Long Side Chain - Per-Fluorinated Sulfonic Acid (LSC-PFSA) cation exchange membrane (CEM) with low resistance, high mechanical stability, high selectivity and high chemical / oxidative stability. Fumapem F-950 is a thin longside-chain non-reinforced membrane that is designed for use in stationary hydrogen PEM fuel cell applications. Fumapem F-950 membrane comes in either a 10cm x 10cm or 20cm x 30cm size sheet. • Applications: Designed for Portable Proton Exchange Membrane Fuel Cell applications. 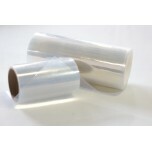 The membrane is the colorless, transparent foil, delivered on a backing layer (colourless rigid PET foil). Pull off carefully the membrane from the backing foil. Before use the membrane must be activated. 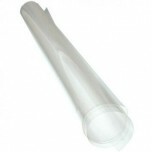 Keep membrane package closed / sealed when unused. Unpack membrane only for direct use and process immediately after opening. Store, handle and process the membrane in a clean and dust-free area. Use only new and sharp knives or blades, when cutting the membrane. Always wear protective gloves when handling the membrane. Handle with care, be sure not to puncture, crease or scratch the membrane, otherwise leaks will occur. All surfaces in contact with the membrane during handling, inspection, storage and mounting must be smooth and free of sharp projections. Membranes will expand and contract based on water / electrolyte content. 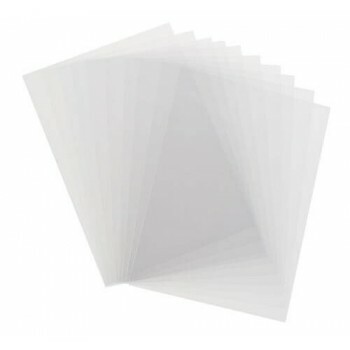 To eliminate wrinkling, it is necessary to expand membranes before mounting by pretreatment. The membrane is delivered in H-form and dry form (non-activated). For optimum performance and lowest resistance it is necessary to pretreat the membrane according to the following prescription: Put the membrane sample in an aqueous 10 wt% HNO3 solution or in 5 vol % H2SO4 solution at minimum 80°C for at least 12 hours. After rinsing with demineralized water (pH ~ 7) the membrane is ready for use (activated). Membranes will expand and contract based on moisture content.